According to everyone, Mad Men is the business. I've never watched it. Not because I'm not interested or anti-shows about advertising - mostly because I'm slightly over committed with TV shows currently and don't want to add anything new to the line up right yet. But don't worry, one Saturday morning I'll get on Netflix and watch the first season and become obsessed. I did it with Heroes, I can do it with Mad Men. That being said, check out these cool old school ads and vote for your favourite on Ad Age. Or just look at them and think about how far we've come in this business. 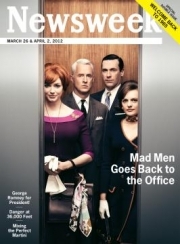 Brands including Allstate, Lincoln, Tide, Mercedes-Benz, British Airways, Johnnie Walker, Benetton and Spam revived "Mad Men"-era styles for an issue of Newsweek marking the show's return with throwback design. 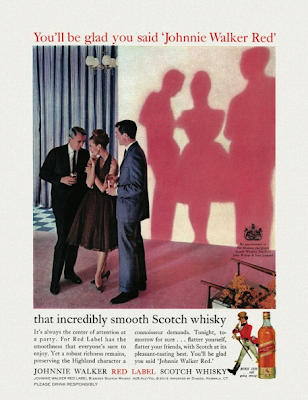 The Johnnie Walker ad and one starring Smokey the Bear actually ran in the 1960s. But most of the ads temporarily revived their brands' old look to be part of the issue, whose cover proclaims "Welcome Back to 1965." And some ads worked in anachronistic winks, like the one suggesting a visit to the brand's website "in 47 years."